Things haven’t looked pretty for the Bulls this season, as they’re currently the second worst team in the Eastern conference. Reports of mutiny in their locker room have run rampant, but Chicago managed a quality 98-93 victory over San Antonio on Saturday. And they came back from 21 points down at halftime to do it. 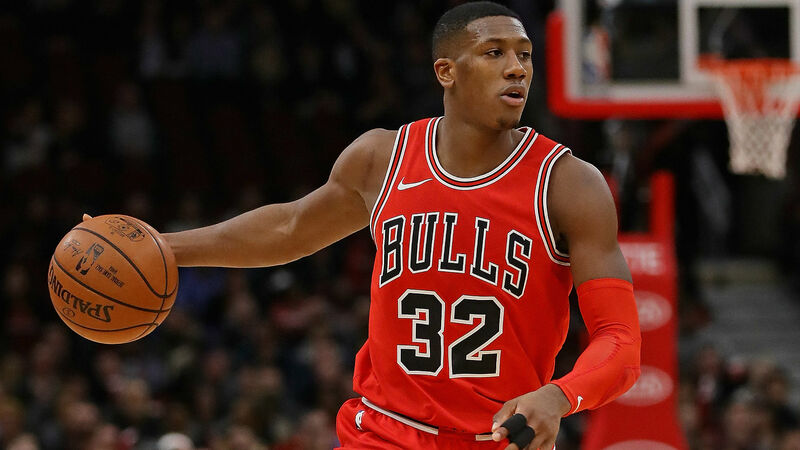 The Bulls didn’t have their top scorer Zach LaVine, who sat out with an ankle injury, but Kris Dunn filled in just fine. Dunn led Chicago with 24 points on 11-of-19 shooting. Lauri Markkannen was just behind him with a mark of 23 on the night. LaMarcus Aldridge’s 29-point effort led all scorers, but DeMar DeRozan was inefficient, scoring 21 points on 23 shots. The Bulls snapped the Spurs’ four-game winning streak and ended their own three-game drought. James Harden recorded his second consecutive triple-double and had 32 points, 12 rebounds and 10 assists in a 105-97 victory over the Grizzlies. Paul George scored 33 points on 11-of-19 shooting in the Thunder’s 110-104 victory over the Clippers. Suns guard Devin Booker had 28 points, seven rebounds, and seven assists in a 107-99 victory over the Timberwolves. Justin Holiday scored eight points on 1-of-12 shooting in a Bulls victory. Robert Covington scored four points on 1-of-8 shooting in a Timberwolves loss. Jaren Jackson Jr. was rewarded with an open 3-pointer after he worked to get a chase down block at the rim. LeBron James dunked the ball with authority in the Lakers’ 128-100 victory over the Hornets. Raptors (23-8) at Nuggets (19-9) 8:00 p.m. ET — These two teams are at the top of their respective conferences, and Denver took home the win in the teams’ last meeting. Gary Harris and Paul Millsap are two key players who are recovering from injuries, but the Nuggets have remained competitive. The Raptors are looking as strong as ever and just beat the Warriors in Oracle Arena without Kawhi Leonard, so their confidence is sky high. This meeting between Toronto and Denver could yield a result that’s very different from the outcome of their last encounter.